You have just graduated and you are ready to take on the world. As a newbie pursuing career success, you need to realize early that the working world is very different from college. The way you approach work and your attitude towards work can determine how far you go in your career. As a fresh graduate new in the working world, you need to see pursuing career success as a journey. A journey with fruitful rest stops. In the companies I have worked for, they actively recruit fresh graduates. I have been lucky to work with many newly minted graduates. Many of them have great attitude towards work that have helped them thrive in the working world. Be committed to the work and jobs assigned to you. While in university you may be able to accept a “C” for your paper, it is very different in the working world. Handing in average work to your boss signals to her that you do not take your work seriously. It sends a message that you do not care about excellence. Commitment involves sacrifice and discipline to see the work through. It involves working harder than the rest. It is also the difference between a pay raise and a promotion. There are two parts to this. Part one is - challenge yourself. Whatever you get your hands on, ask yourself how can you make this better than expected? Can you complete it earlier without compromising on quality? Can you add value to it? Part two is - surpass challenges that are thrown your way. I have seen many newbies pursuing career success who use the statement – “I have not done this before’ as an excuse. None of us are born to do the work that we do. So, learn. Ask intelligent questions. Take up the challenge and surpass it. Be focused. Do not be distracted by other activities in the peripherals. The after office drinks, the sports club and the gossips. This does not mean you cannot join your colleagues in their after office drinks or activities of the sports club. In fact, you should. But as in life, there is a time and place for everything. As a newbie pursuing career success, you need to concentrate on the job assigned and to complete it the best possible. Each task completed with excellence contributes to building a successful career and laying the foundations for long-term success. Be friendly. No one likes someone who is aloof. Greet people with a joyful and genuine smile. Even the tea lady. As a newbie pursuing career success, you want to have as many friends as possible across departments. When people find you friendly and connect with you they are more willing to help you. If you are lucky, they may even point out a potential mistake you may make as a freshie. When the time is right, this is where you join in the parties and the social events to get to know your colleagues outside of the office environment. But be aware that you are always watched and judged. Always add value to projects you are involved in. Is there a special skill that you bring to the table? If you have been assigned the task, in all likelihood the manager sees your chance in contributing. Make use of that opportunity. Are there any chances for volunteering? While this is a good trait, do so cautiously. For two things, you do not want to volunteer for the wrong things and end up being perceived as inefficient. Two, when you volunteer too much – unethical seasoned managers can exploit your tendency to help. You will end up overworked and not deliver your best. There seems to be many things a newbie pursuing career success needs to possess. Do not be overwhelmed by these tips. In reality, when you internalized these and practice them mindfully – it will appear effortless. Approaching career success the Zen way - a new career success tip for you. Newbies pursuing career success should learn and incorporate these attitudes. 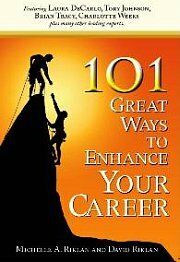 For more articles related to pursuing career success, click here.